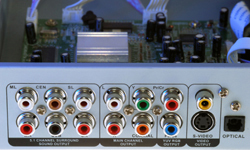 Alpha Tech provides skilled maintenance and repair technicians for all of our clients' video equipment needs. Our technicians have experience with all types of analog and digital video equipment including cameras, camcorders, televisions, monitors, projectors, and video players and recorders. We respond and work quickly and efficiently to minimize downtime for our clients.